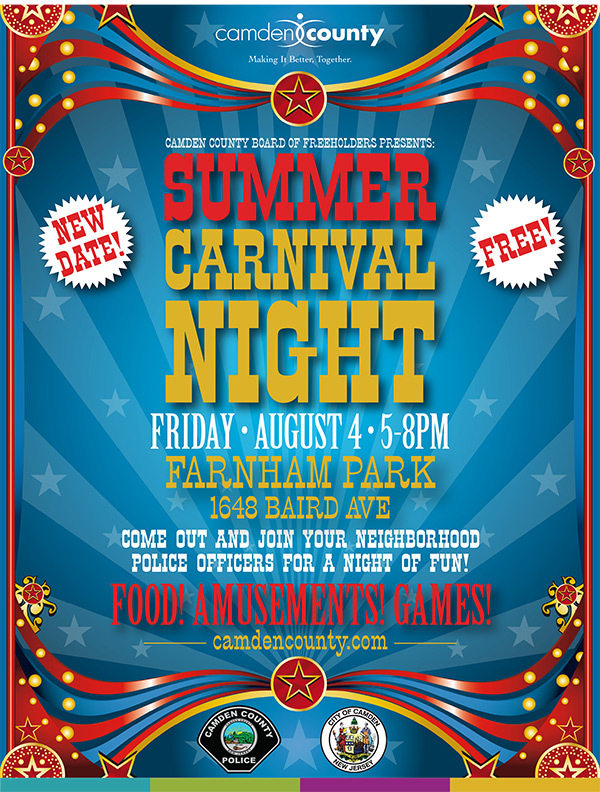 The Camden County Board of Freeholders presents the Summer Carnival Night on Friday, August 4th from 5:00 PM – 8 PM at Farnham Park (1648 Baird Avenue). Come out and join your neighborhood Police Officers for a night of fun, food, amusements and games. Brought to you by the City of Camden and the Camden County Police.